Trivia: This film is basad on the Tamil film 'Aalayamani' (1962) starring Sivaji Ganesan. This film won the Bronze Nandi Award for Best Feature Film. Trivia: In first release it was an average movie at the box-office. 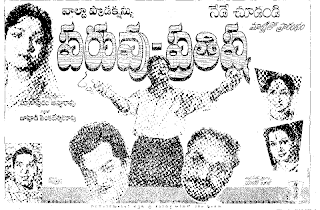 But in second release in 1987, it had a 100-day run in Vijayawada. 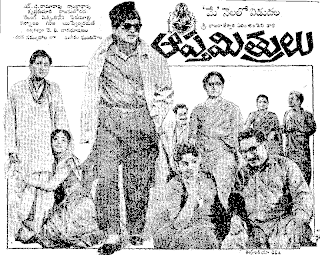 Synopsis: Shavukar Rangaiah's (Chittooru Nagaiah) right hand man is Seethaiah (Gummadi). The Shavukar dotes on his motherless son, and his brother-in-law pesters him for money. Rangaiah is accused of murdering a diamond merchant and is sent to jail while his son is taken away. Lost and found by a childless couple, this boy is named as Varaprasad. The couple, Pichchaiah and Achchamma (Ramana Reddy and Suryakantham) has a daughter after that, and name her Leela. 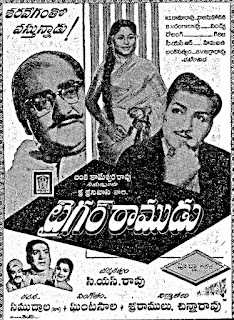 Varaprasad (NTR) becomes a doctor, starts a pharmacy with the help of Seethaiah, falls in love with Seethaiah's daughter Padma (Krishna Kumari) and leads a happy life. Then he finds out that he is not the couple's own son, so he sets out to find his biological parents. In a surprising twist, the now released Rangaiah is found to be innocent while the real murderer turns out to be Seethaiah. 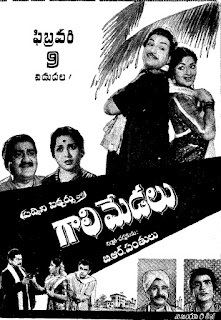 Trivia: It had a 100-day run in Rajakumari Theatre, Vijayawada. Trivia: This was Satyam's debut film as a music director. But this film was not successful and he didn't get proper recognition through this film. 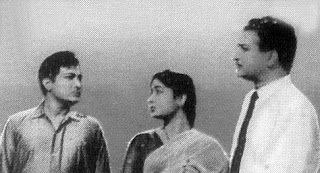 'Paala Manasulu' (1967) with Haranath and Jamuna in the lead was his first Telugu film that gave him some name as a music director. Trivia: This was a remake of Tamil movie 'Padikkadha Medhai', directed by A. Bhim Singh and starred by Sivaji Ganeshan and SV Ranga Rao. 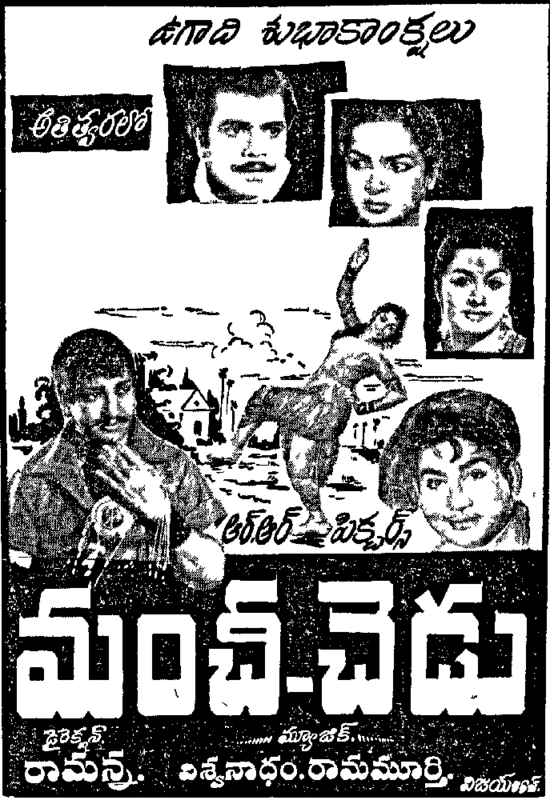 Synopsis: Raju (NTR) and Radha (Savitri) are Siblings and very affectionate to each other. Anand (Kanta Rao) saves Radha from an accident. They startd loving each other. Raju works in a factory. The factory is closed for some reason. He starts his own business and very successful. He plans to marry his sister to a rich man. After knowing that she loves Anand, he insults him. However, later he requests pardon and marries them. Raju also marries. Kanthamma (Suryakantham), aunt of Anand, living with them creates differences between them, resulting their separation. Radha gives birth to a boy. The wife of Raju dies after giving birth to a girl. Raju writes his entire proper in the name of Radha and goes on tour. However, he returns back after finding out that his real peace of mind with his sister. He loses sight on Deepavali day in order save the son of Radha from fire accident. Finally both the siblings unite and die together. Trivia: Initially, the film named as 'Suvarna Manjari', later changed it as 'Swarna Manjari'. Trivia: Initially the film starts with Kanta Rao as Siva. Later he replaced with NTR. In this film, NTR portrayed the Siva role first time in his career. 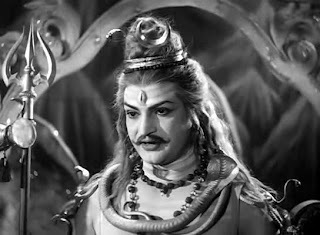 Synopsis: Ranganatham (Nagaiah) leaves his only son Krishna (NTR) in the custody of Panakalu (SV Ranga Rao) before he leaves for the medical treatment. Greedy Panakaalu leaves the village with the money given by Ranganayakulu for the Krishna's education and buys the land in town. He educates his son Mohan (Jaggaiah) and makes Krishna to look after the lands. Panakalu takes money from Naganna as loan, in exchange to make Lakshmi (Devika) as his daughter-in-law. Lakshmi who is in love with Krishna unaware that she needs to marry Mohan. Panakalu accuses Krishna of spoiling the marriage of Lakshmi with Mohan, which makes Krishna to leave the house. Meanwhile Mohan in the pretext of a millionaire meets Nimmi aka Nirmala (Jayanthi) who is Zamindar's (Rajanala) daughter and marries her. Lakshmi leaves the house in search of Krishna. How Krishna meets his father Ranganath, and marries Lakshmi and brings changes in Panakalu and Mohan is the rest of the tear-jerking story.